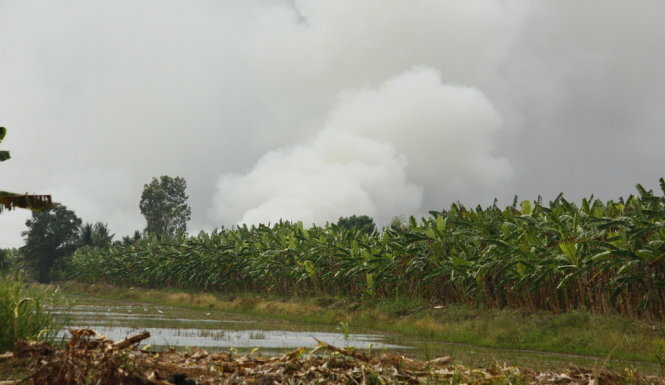 KIEN GIANG (VNS) — A fire destroyed about 50ha of cajuput forest in Mekong Delta Kien Giang Province's U Minh Thuong District yesterday. The fire was put out after an eight-hour effort by 500 local firefighters and soldiers. The firefighters and soldiers had problems in controlling the fire earlier, because the nearby canals were found to have run out of water for fire-fighting. The site of the fire, located deep inside the forest, also added to the difficulties of the firefighters. Authorised agencies sent 30 floating pumps to the site. The local police are investigating the cause of the blaze.